Doug finished his canal walks with a final walk on the Wilts Berks Canal into Royal Wootton Bassett on 2nd May 2015. He was met by the Mayor, members of Help for Heroes, standard bearers and friends and family. In total he raised over £103,000 which he couldn't have done without the help of Rotary Clubs throughout the country, offering accommodation and donations, many friends putting us up, driving us around and doing all they could to help. We have met so many wonderful people along the way. Thank you all so much. Doug is 71 years old, an ex-Sapper who enlisted as a boy soldier when he was 15, served his apprenticeship in the Royal Engineers, followed by nine years of service including Malaya and Thailand. On his return in 1971 he settled in Devon and started his own digger company, which he runs from Bridford, a small rural village on the outskirts of Dartmoor. With his service background, Doug took a keen interest in the repatriation of our fallen servicemen and women to RAF Lyneham, via the nearby town of Wootton Bassett, and onwards to the John Radcliffe Hospital in Oxford. With his wife and family, he started to attend the ceremonies and pay tribute to the men and women who had fallen. “When the hearses pass through Wootton Bassett, the church bell tolls and crowds stand silent, the families dignified in their grief” says Doug “I was particularly moved and wondered what I could do to help the wounded”. On one particular occasion, a fellow bystander remarked that Doug's journey from Devon must have taken some time and showed real commitment. "But I only drove here" says Doug - "real commitment would have been to walk here." 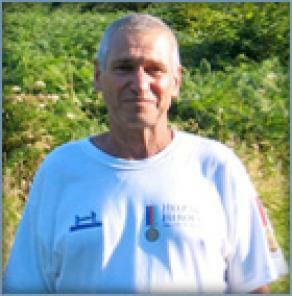 In 2011 Doug completed the gruelling 1,000+ walk from John O'Groats to Lands End, an awesome task for a grandfather! He has now undertaken yet another challenge - walking the canals of Britain, raising even more money for our troops and their families. We have now raised over £100,000 since 2009.